Based on its proven and successful 48 Convertible hull, the new Viking 48 Open (LOA 49’1″; Beam 17′; Draft 4’8″; Displ. 66,342 lbs.) is designed with the serious fisherman in mind. 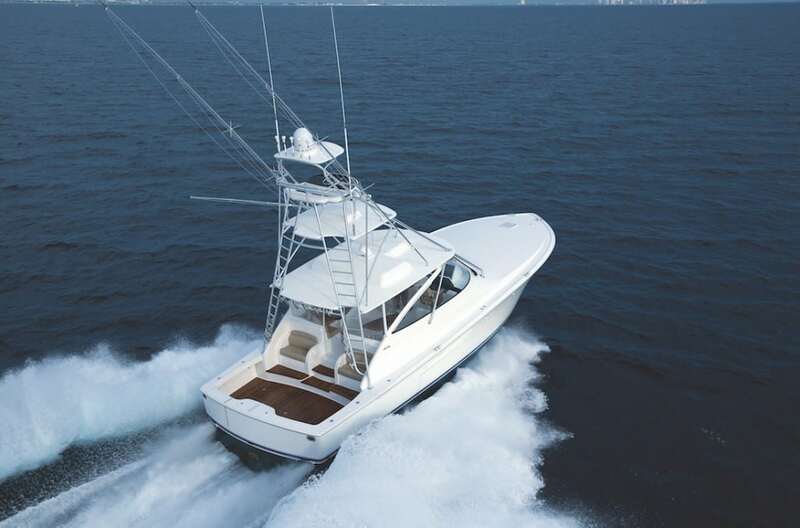 The 124-square-foot cockpit has aft-facing seating on a split mezzanine, plenty of storage, easy under-steps access to the engine room, and separate coolers for bait and drinks. The transom has a large door and liftgate for boating big fish, as well as family and guests, plus a livewell. The oversized lazarette will accommodate a ton of gear and a Seakeeper 9 gyro stabilizer. Several MAN diesel engine options offer performance up to 39 knots at the top end and will cruise efficiently in the low to mid-30 knot range.